Calamari - What's the catch? Where do they breed? Snapper - Are they Tassie residents? How fast do they grow? East Coast Rock Lobster - What's the strategy? IMAS Fisheries Lecturer Dr James Haddy is opening his Fish Science Lab to conduct one of his amazingly entertaining fish dissections. How old is a fish? How do you tell a breeder? Do fish see colour? How do they detect sound? 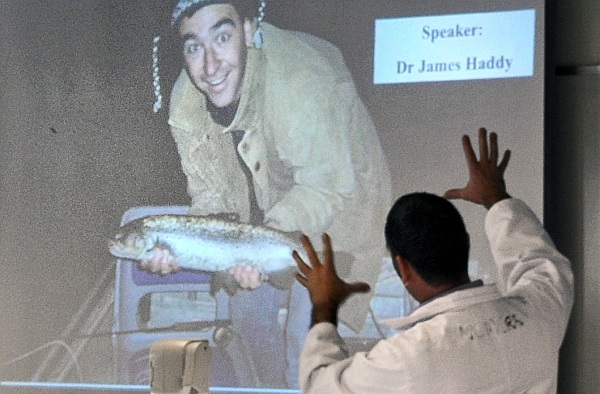 You're invited to attend James's one-hour fish biology and dissection class which will be held prior to our Launceston Fisheries Forum. Places are limited and you need to register to attend so please email us a few sentences about why you'd like to be a Fish Forensics participant.